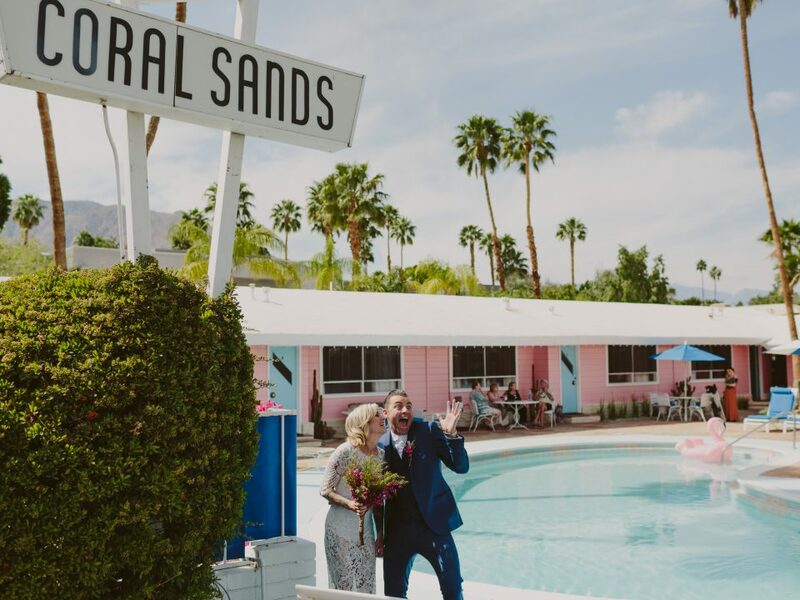 Palm Springs has many gorgeous wedding venues from the larger locations such as Avalon Hotel to the more intimate in Casa De Monte Vista, but the Southern California city also has many amazing private residences that are perfect for small weddings. 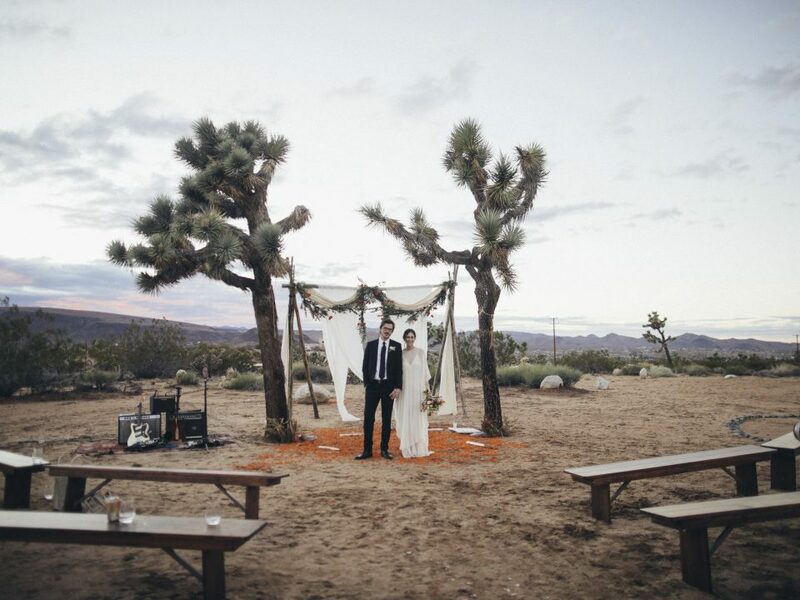 That is why when we say this really simple and clean backyard wedding by Jenny Losee we could not wait to share it. 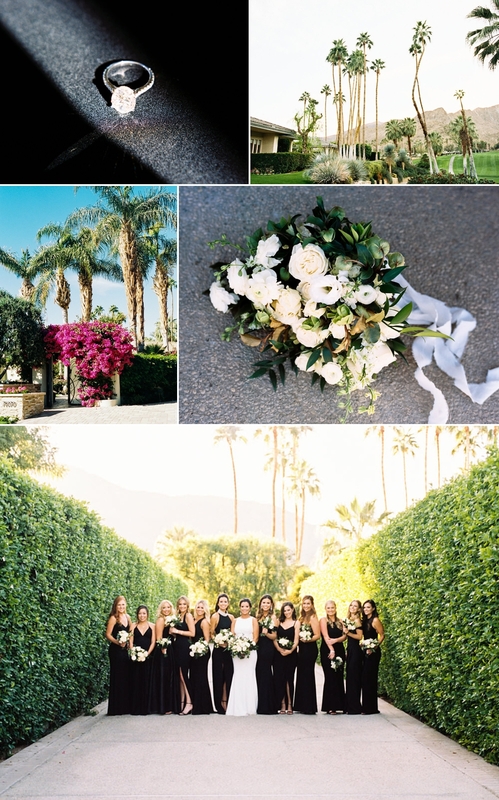 So below are some of the photos from the wedding as well as commentary from the wedding photographer! Enjoy! 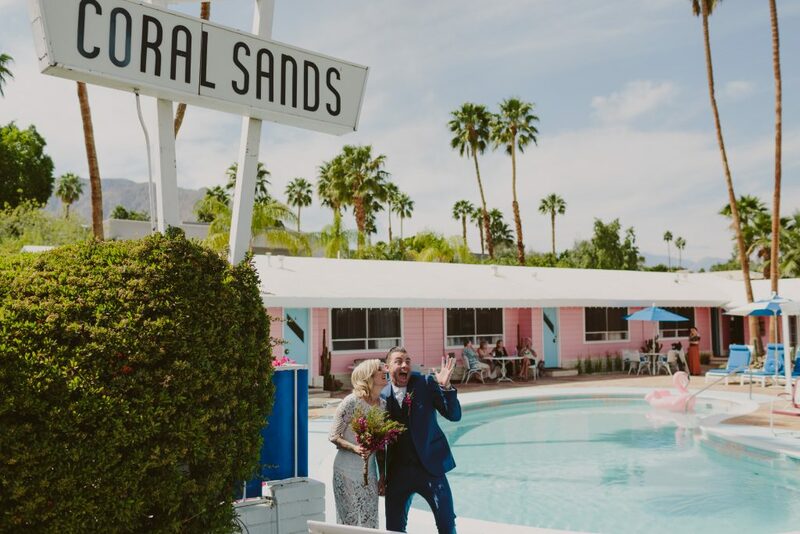 Was This Your First Palm Springs Wedding? This was my first trip to Palm Springs and it was not a long enough trip! I always wish I mixed a little more business and pleasure. Palm Springs is such a cool town! So much to see and do! 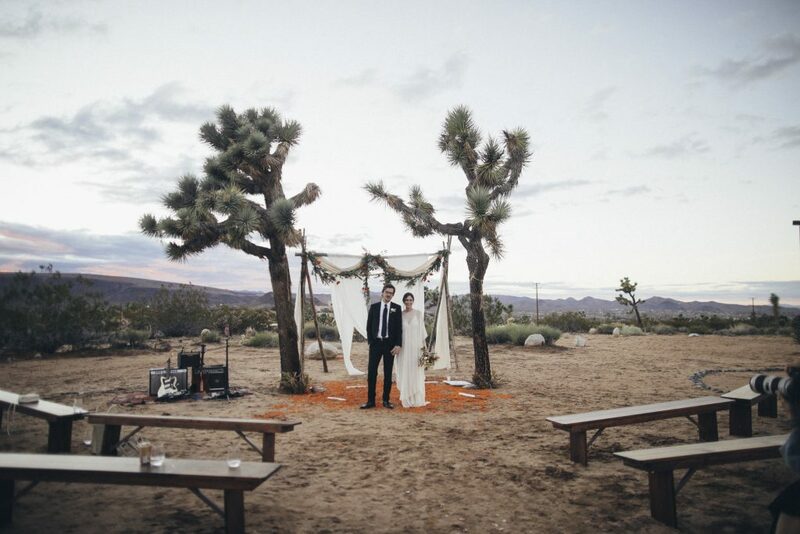 Next time I get to make it down there, I am not going to miss out on Joshua Tree. 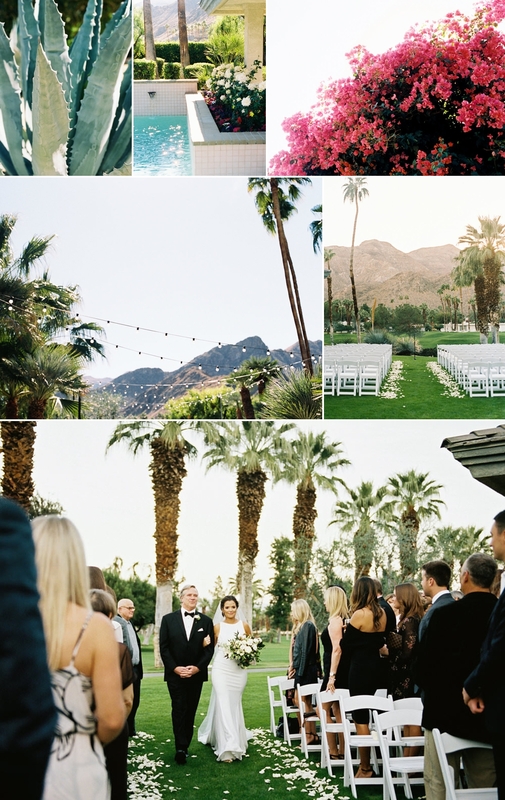 I would have to just say the palm trees everywhere were my favorite thing about palm springs! I love photographing trees and I don’t see many palms in Idaho. 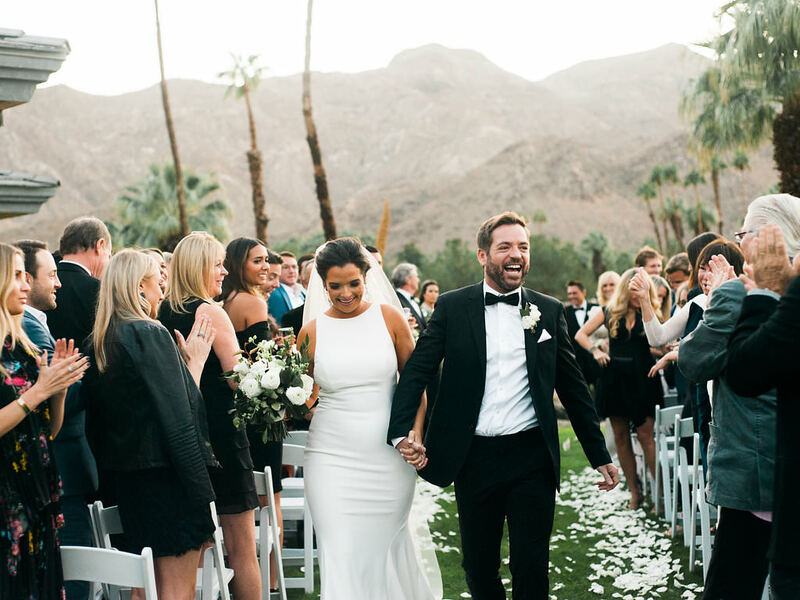 The bride and groom were sent to me by their wedding planner. I am so happy they were, too! 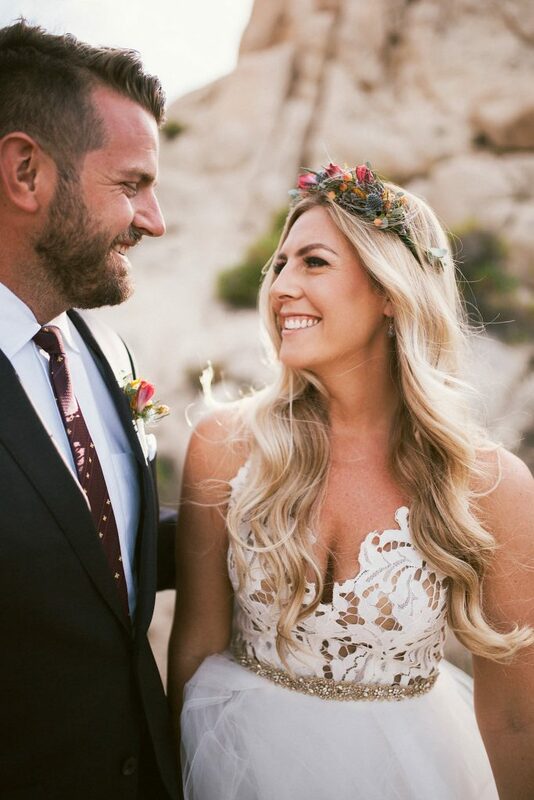 The couple were so amazing to work with; easy going, comfortable and just so happy to be together and grateful for everyone around them. So of course, that joy was contagious. 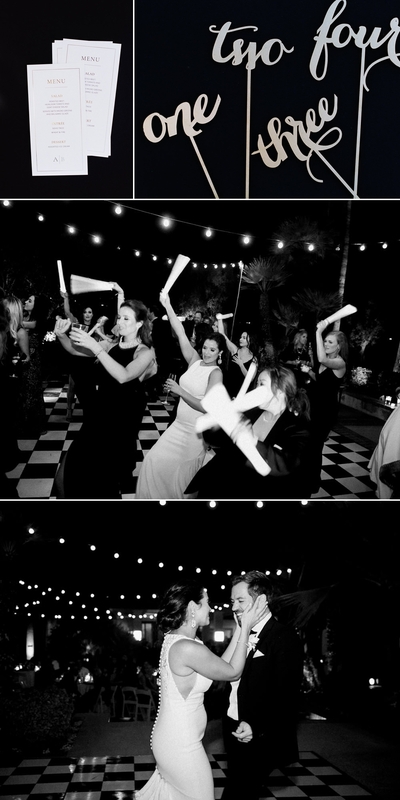 Everyone at the wedding, vendors and guests were all having the best time! My favorite wedding day moment was photographing everyone dance! The band was AMAZING and those girls had some pretty groovy moves. 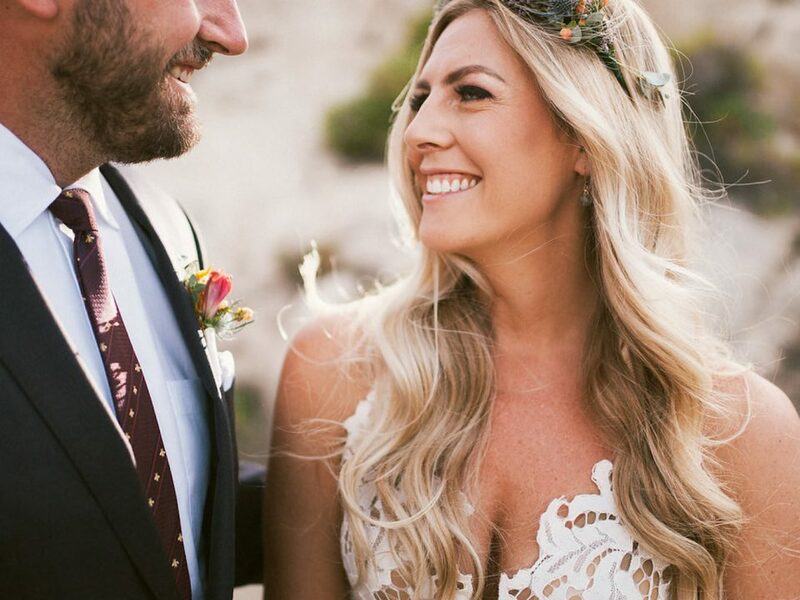 It’s so fun to see everyone just let lose and celebrate love! I grew up in Pocatello, Idaho. A small town most people haven’t heard of and a town where everyone in it seemed just fine never leaving. Which, of course, made me want to travel and see everything! So after high school, I was lucky enough to see some places all over the world. I feel in love with these new places and the people I met. I moved to Boise, Idaho a few years later with my Husband where we have a cozy little home in the farmland surrounded by chickens, goats and cows with our Cat, Figaro and Silver Lab, Frank, who is by far the biggest, dorkiest dog I have ever met. About 7 years ago, I picked up a digital camera. I took my brothers senior photos, then his friends asked me to do their photos, then their families and it just snowballed until I really wanted to learn more about this art form. I self taught as much as I possibly could with some workshops here and there. At one workshop, they shot film which seemed so legit, scary and out of the question for me. That is until I shot a roll of film and that’s when the obsession began. I got that first roll back and was in love with the texture and buttery light. Then made it my goal to shoot weddings all over the PNW and beyond, to get published and actually make a career out of a passion.